Does Doping Violate the Social Contract if All the Elites Do It? For a child, this is completely true. An adult recognizes that there are three options available to him. First, he may comply with all the tenets of the social contract like 'murder is bad and will be punished'. Second, he can leave. Third, he can accept that the social contract prescribes certain penalties for failure to comply to the contract and accept the consequences for consciously violating them. In each case, the individual maintains his sovereignty, with the understanding that each decision carries with it concomitant consequences and responsibilities. I got to thinking about this while I was out on the trails yesterday, specifically within the scope of doping in the running community. When you step to the line to race, you operate on the assumption that you are doing so in the fairest of environments. The rules are published and understood by all. We all face the same wind or rain or heat. The running surface is the same. The clock or the first chest to break the tape declares the winner. These are part of the social contract we hold with each other for races. Doping shatters that shared covenant. Or does it? 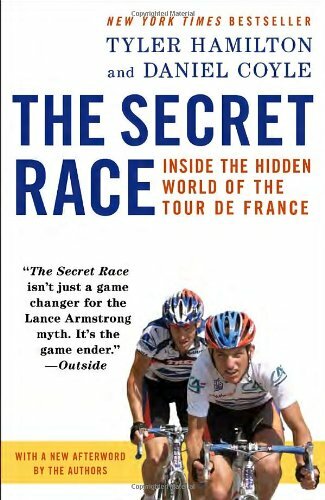 The thought that crossed my mind yesterday dealt with the rampant cheating that occurred on the Tour de France (and is rumored still to be happening) as highlighted by Tyler Hamilton’s book, The Secret Race. It was accepted practice inside the peloton that there were cheaters, even specific individuals that were expected to cheat at given points to help the team win. Based on the fallout from the scandals, every single team was involved. So, was the social contract actually ruptured in this case? If all the competitors are engaged in the same behavior, who is harmed? This becomes an important point in the running world as the Olympics approach. Kenya has been cleared by the IAAF to compete. The status of the Russians is less secure. Certainly, based on the reports we see in the news, I’d have to say not a single prominent Russian athlete is clean. A plethora of articles in the last five years make the argument that we should just accept that the athletes are doping and legitimize performance-enhancing drug use. Early in his article, he blurs the line between food and drink and drugs, treating them all as performance-enhancing. While good nutrition and hydration are necessary for proper athletic performance, they are just as valuable to the rest of us. Not so with the cocktails of PED’s some athletes are ingesting, inhaling, and shooting. In his opinion, so-called dangerous drugs should be banned but relatively safe drugs such as EPO should be permitted. Since we haven’t been able to successfully moderate PED use now, I don’t see how his plan would be any sort of improvement if the goal is ‘clean’ athletes. He clearly has surrendered to the ‘everyone-does-it’ belief. He isn’t alone. Runner’s World provided a more balanced approach in 2013. In Sports Medicine Experts Debate: Should Doping Be Allowed?, sport ethicist Julian Savulescu offers two interlocking rationales for allowing drugs. First, that detection of PED use is woefully inadequate. Second, that we are hard against the limits of human performance so cheating is inevitable in pursuit of new records. He wrote a longer piece, again at the NYT, that also pointed out that cheaters have an advantage over clean athletes—the obvious solution in his mind seems to be to encourage those clean athletes to dope. Interestingly enough, he starts the NYT article with a statement that “We should allow drugs in competitive sports for three reasons. First, the ban is ruining the mood and spirit of the game. It’s hard to enjoy any sports narrative if we don’t know who is clean and who isn’t.” It is a paradoxical concept, one that I think undermines his premise. Of course we want to cheer for clean athletes. We do so because at a fundamental level we want to “Be like Mike.” Hero worship is ingrained in our DNA and has inspired generations to strive and succeed. PED’s tarnish the image, leaving it with a scummy film that we all can see. The other side of the debate leans less on the practicalities of testing and PED use and more on the dangers and moral implications of such use. The dangers are well known. Multiple studies demonstrate that steroid use causes cancer, heart attacks, and liver disease. The best known of these is testosterone, one of the controversial steroids at the master’s level where aging athletes get treated for low-T. Even EPO, considered reasonably benign, is estimated to have caused twenty deaths in cycling. The trade for improved performance pits the risk-taking strategy of winning now with drugs against the principle of personal performance, integrity, and good health. The master’s runner who compensates for a lack of testosterone with pills or one who ups his oxygen uptake with EPO may win the race but denies a level playing field to a competitor who might have more natural talent and has trained better. Athletic performance is not entirely, or even mostly, about winning. It is about competing, within the rules, and striving for excellence. 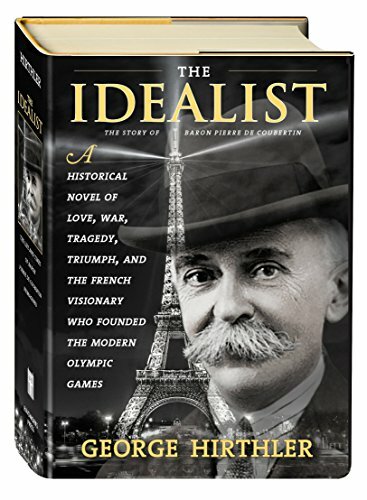 As Coubertin, founder of the International Olympic Committee, said, "The important thing in life is not the triumph but the struggle, the essential thing is not to have conquered but to have fought well." Elite athletes should not be able to endanger other runners, either, by competing in a fraudulent manner, yet they do. Coubertin’s sentiment has been abandoned with a win-at-all-costs mentality. In the case of Russia, they do so with state sanction, making a mockery of the Olympic ideal. Galen Rupp was not an aging athlete when reports surfaced (via Steve Magness) that he may have been taking substances to boost his testosterone at age 16, which, if true, would have been quite unusual. Rupp and his coach, Alberto Salazar, deny that he took a banned substance but questions remain, not just of Rupp but the entire Nike Oregon Project. This is where the social contract shows its frayed edges. It is one thing to propose, as Savulescu and Mounk do, that athletes be allowed to openly choose to use PEDs. We presume that these athletes are adults, capable of making informed decisions. We treat them the same way we treat boxers who think having their brains battered is sensible. (Boxing, by the way, has its own rules and problems with drug use.) We might consider altering our rules to permit PEDs and thus adjusting the social contract. Children, however, cannot legally consent to use drugs. Parents and guardians are responsible to provide the consent. As a society we have a social contract that provides for care of children. We mandate that the children receive basic education, get proper nutrition, that they have shelter. Are we perfect in accomplishing these? No. Our efforts fall short of our ideals. They always will. Altering the social contract on PEDs requires we alter the contract for our children, too. We cannot espouse an ideal, striving for excellence, and simultaneously advocate for legalized cheating. When excellence is redefined as having superior dope, we devalue the components of human effort and heart. Changing the contract within the narrow confines of the sport conflicts with the greater contract we hold as a society. The overarching social contract encompasses the entirety of our society, not just the elite running community. I asked a question above, If all the competitors are engaged in the same behavior, who is harmed? The answer is the next generation and those who place long-term health over short-term glory, sportsmanship over placement. In other words, nearly everyone but the doped elite athlete or the doped master’s race winner at the local 5K. The PED-using athletes set a terrible example for the sport and to our young. In the last year, four high school runners— Maton, Fisher, Hunter, and Slagowski—have broken the four-minute barrier for the mile, nearly doubling the total. This worries me.